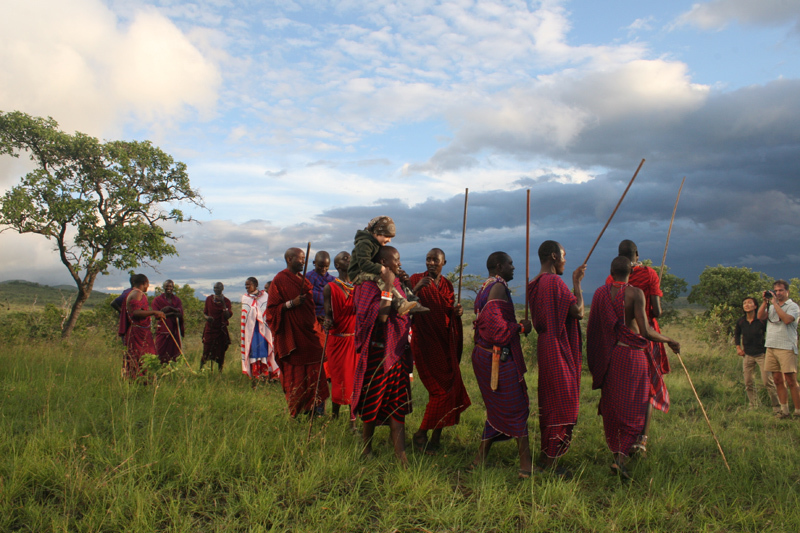 Yesterday afternoon we had a nice Maasai party, in the Chyulu hills. Two goats here make a lot of people happy… including our guests (two brave white warriors actually tried the milk and blood drink…). And here is Pashiet carrying Jacopo and introducing him to the warrior dance. 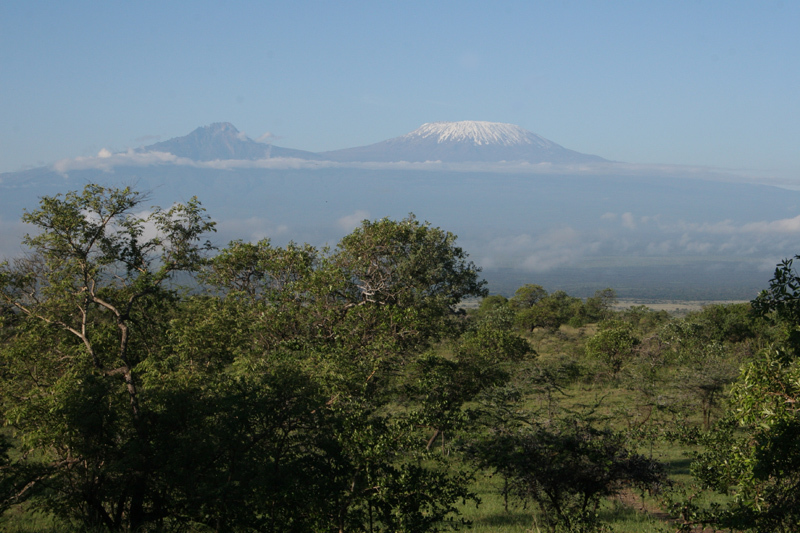 And this is how Kilimanjaro greated us this morning. This is a magical moment to come… if you are thinking for a last minute break from your Westerner tempo and seeking for a peaceful moment in Nature… come. 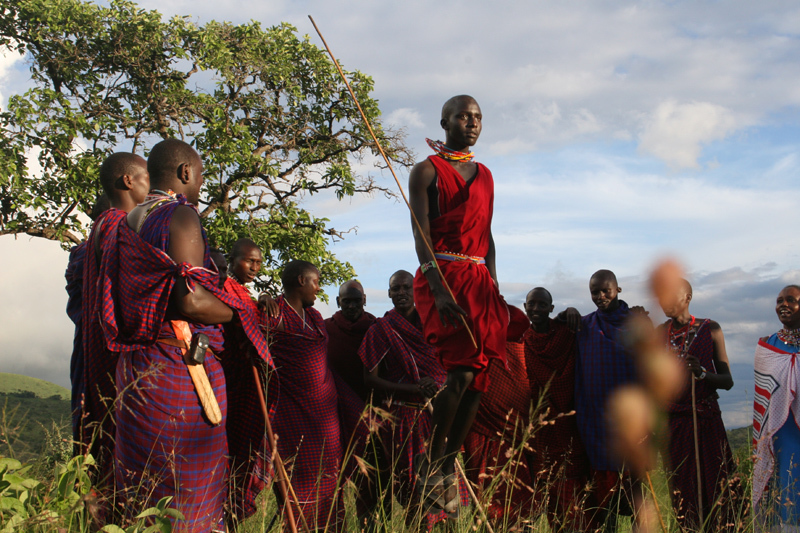 This is indeed the nicest time of the year to visit Campi ya Kanzi. Email Luca for booking.